Kochański & Partners (K&P) law firm together with the London office of the international law firm Pinsent Masons and South African law firm Cliffe Dekker Hofmeyer advised Redefine Properties Limited based in the RSA, listed on the Johannesburg Stock Exchange, on the acquisition of a 75 % stake in Echo Prime Properties BV from Echo Investment S.A. The aim of the transaction was to enable the buyer to take control of a portfolio of 18 commercial properties located in 11 cities across Poland, including offices and retail shopping centers. The deal is one of the largest real estate transactions undertaken recently in Europe. It is the largest ever real estate investment transaction in Poland and also the largest ever single transaction of income generating real estate assets in Central Eastern Europe. 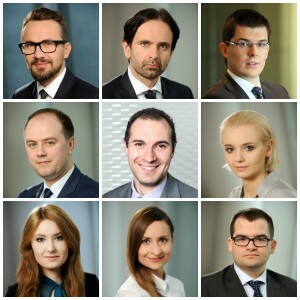 K&P’s team consisted of: Rafał Zięba (Co-Managing Partner), Rafał Rapala (Partner, Corporate), Kamil Osiński (Partner, Real Estate), Szymon Gałkowski (Partner, Financial Services), Adam Piwakowski (Partner), Tomasz Zaleski (Partner, Tax), Anna Gwiazda (Partner, Labor) Aleksandra Polak (Senior Associate, M&A), Aneta Serowik (Associate, Corporate), Marcin Rżysko (Associate, Real Estate) and Edyta Rekawek (Associate, Financial Services). The Pinsent Masons team was led by by Redefine client partner William Oliver and Head of Corporate Real Estate Robert Moir, with assistance from Costa Smith, Robyn Stevens, Harriet Bowers and Jeremy Webster on tax aspects. Peter Hesseling of Cliffe Dekker Hofmeyr led the South African legal team advising Redefine on the transaction. Rafal Zieba, Senior Managing Partner at K&P, observed: “The beginning of 2016 has been fantastic for K&P. We have had the chance to work on two hugely successful landmark projects – the dual listing of Work Service on the London Stock Exchange, and now representing Redefine on what will likely be one of the largest real estate acquisitions in Central Europe in recent years. Once again, as with the Work Service transaction, we have operated closely with our good friends at Pinsent Masons and illustrated a seamless, close and uniformed working relationship which is of true benefit to our mutual clients”. Kamil Osiński, Partner and Head of Real Estate at K&P stated: “The real estate market in Poland is buoyant with a number of new developments and acquisitions. This transaction is an example of this. Moreover, we are seeing investors enter Poland from the newer markets. Redefine are the second South African based company to enter Poland following Rockcastle Global Real Estate’s acquisition last year. K&P is taking a leading role in helping investors from the African, Asian and Middle Eastern markets take their first footsteps in Poland”.